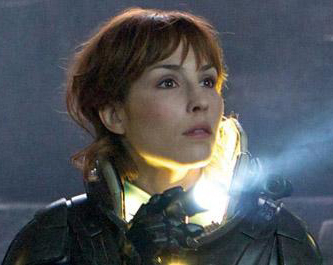 On the heels of last week's announcement that 20th Century Fox has set a mystery Ridley Scott film for March 4, 2016 comes confirmation, via TheWrap, that the project in question is a sequel to 2012's Prometheus (and a prequel to the rest of the Alien franchise). The outlet also reports that Green Lantern scribe Michael Green, who has been working with Scott on the proposed Blade Runner sequel, will rewrite Prometheus 2 and that the script calls for multiple versions of David, the synthetic played by Michael Fassbender in the first film, which also starred Noomi Rapace, Guy Pearce, Idris Elba, Logan Marshall-Green and Charlize Theron. Transcendence screenwriter Jack Paglen provided the original draft of the tentatively-titled Prometheus 2, which is expected to enter production this fall.